Our secure trustless systems mean that your secrets stay... secret. Instant, secure and globally accessible communication systems are a necessity for modern organisations. Our systems have been designed and built by experts with deep technical and security knowhow from the UK defence sector. Our communications infrastructure is ISO27001 accredited backed by HMGovernment G-Cloud Suppliers. Do you have sensitive communications that you need to keep private? We can set you up with end-to-end private email services that integrate with your existing system. Instant messaging is ubiquitous nowadays, we can provide you with a secure en-to-end encrypted service that allows your team to stay in touch without leaking sensitive information to the outside world. 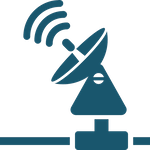 TSecuring voice communications is one of our specialties. We can give your organisation end-to-end encrypted phone calls so that your private calls stay private. Do you have a bring your own device policy in your organisation? We can ensure that your organisations data stays safe and secure no matter what devices your team are using. Mobile working is now a everyday reality, but how do you secure connections over public WiFi? 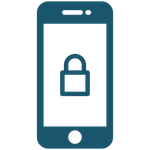 We can provide your team with secure VPN services to encrypt all data sent and received on mobile devices.